What do we know about St Joseph? He is renowned for his pure heart. This is very beautiful and why he is often depicted with a lily. The Bible tells us he was a just man. This is important because, as Pope Benedict Emeritus tells us, justice is what we need for love to grow. What more? Joseph was a carpenter, a working man. He was not rich because when he took Jesus to the Temple he offered pigeons instead of a lamb – allowed for those who couldn’t afford a lamb. Despite his humble work and means St Joseph came from royal lineage. He was a descendent of David, the greatest king of Israel. Imagine that, this humble man was of royal blood! He was also a compassionate and caring man. When he discovered Mary was pregnant, he knew the child wasn’t his but didn’t know yet that the baby was the Son of God. So, he planned to divorce Mary but was concerned for her safety knowing she could be stoned to death for adultery. Being a kind man, he didn’t want to expose Mary to shame or cruelty. And when he did learn that Mary was pregnant through the Holy Spirit, he accepted it without hesitation. He was a man of great faith in God. We heard in the Gospel that, “when Joseph awoke, he did as the angel of the Lord had commanded him and took his wife into his home.” We should also do what God wants of us. So, it happened that Jesus could grow up in a holy family with two holy parents, just as God planned because Joseph was faithful to God. This meant that Jesus could have two loving parents to care for him. God entrusted this humble man with the unique privilege of raising, protecting, teaching, and training Jesus as a growing child. Joseph accepted his role of fatherly care with faith, trust, and obedience to the will of God. He is a great model of family love, of faith, of trust in God, and obedience to God. Also, he is the father of the Church, so we ask him to look after us, just as he looked after Jesus and Mary. 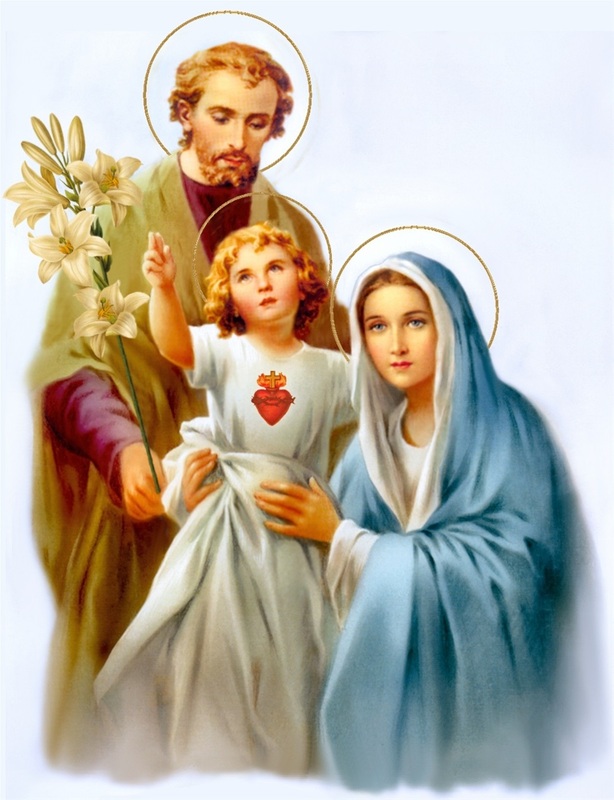 Pope Francis says that as Saint Joseph took loving care of Mary and gladly dedicated himself to Jesus Christ’s upbringing, he likewise watches over and protect us!